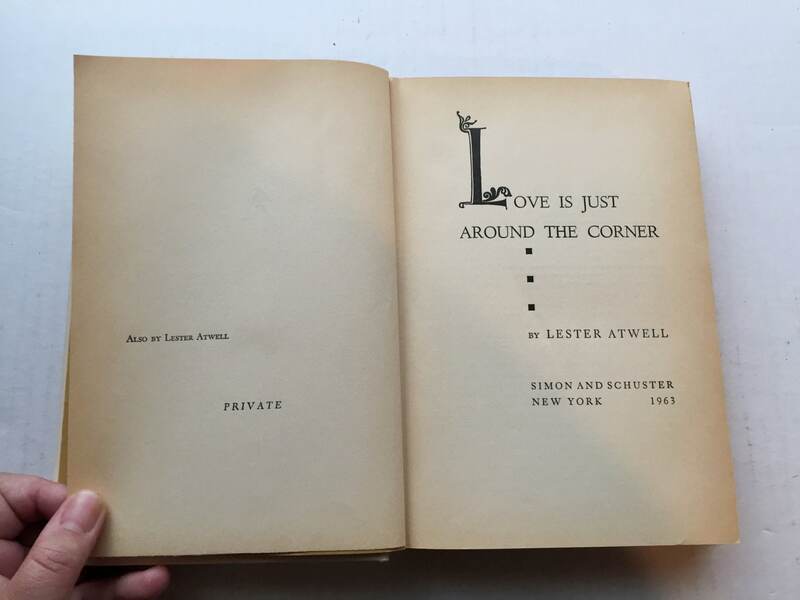 Love is Just Around the Corner is a novel set in the thirties about a lovable nincompoop with big dreams, written by Lester Atwell. 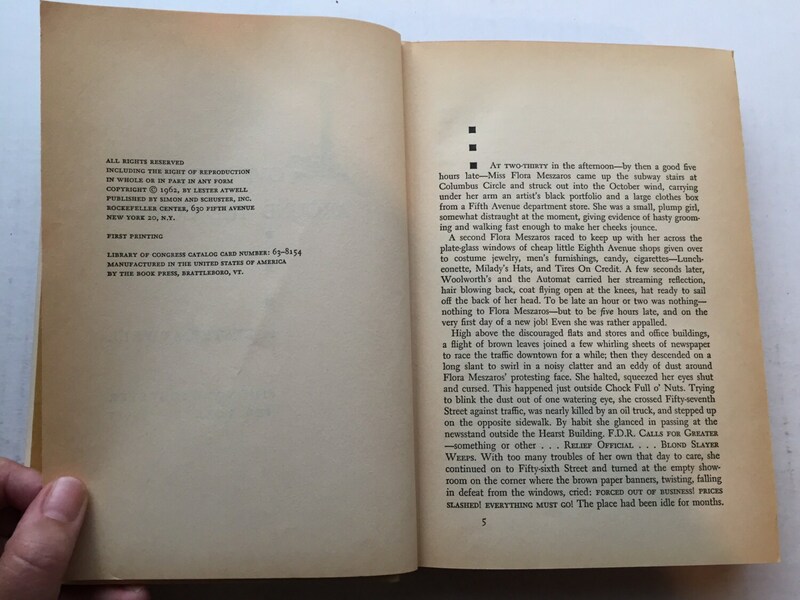 This edition is a FIRST EDITION and says so in side. 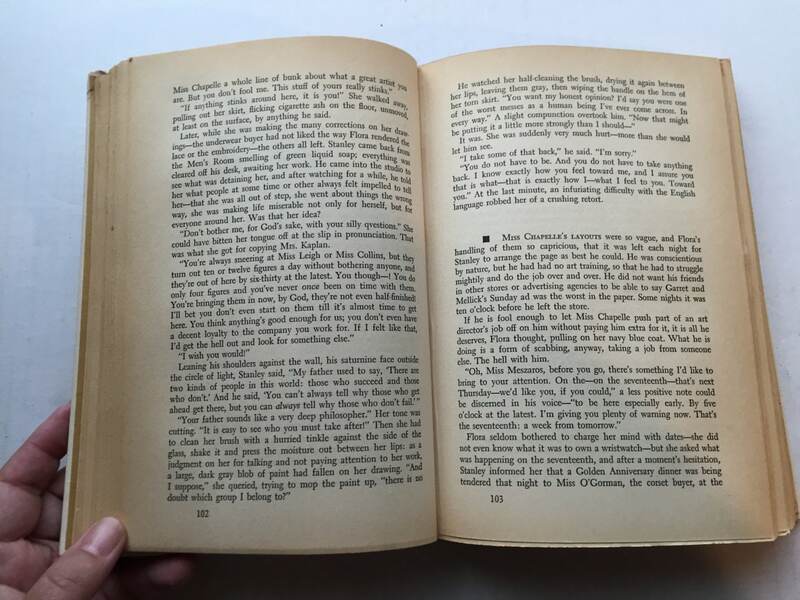 It was published by Simon & Schuster in 1963. CONDITION: Good to very good. 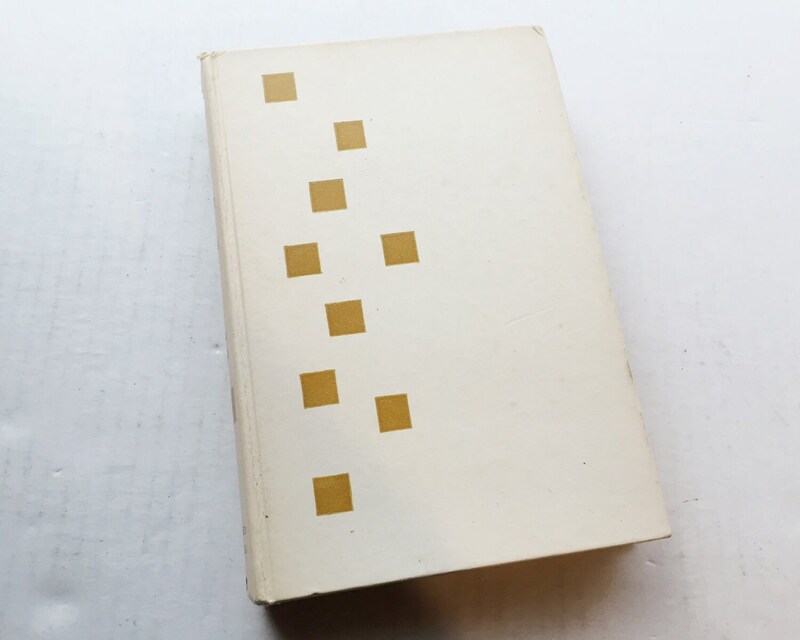 No dust jacket, the cover is sound except for a tear on the top of the spine. 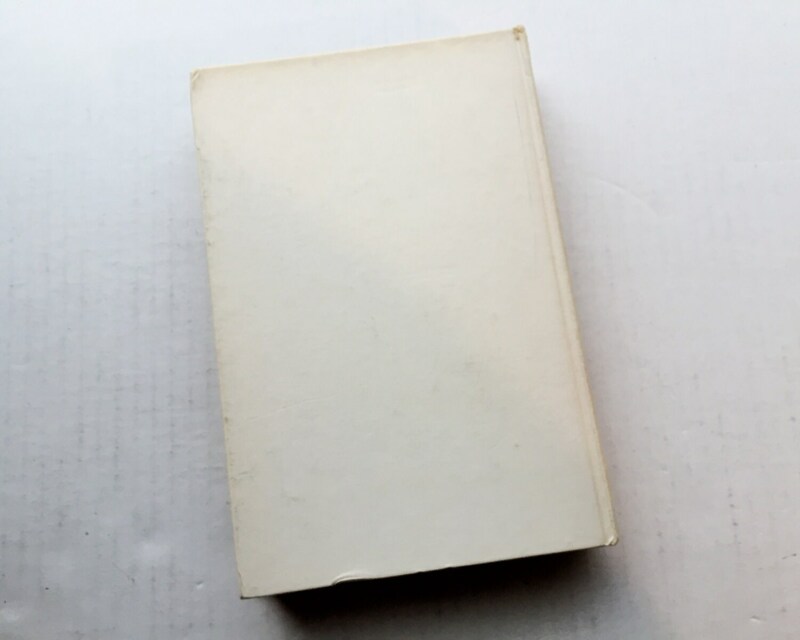 Inside cover there is a red stamp mark 'H' and the remains of white sticker. There are no other marks. Some tanning on the pages, cover still bright.